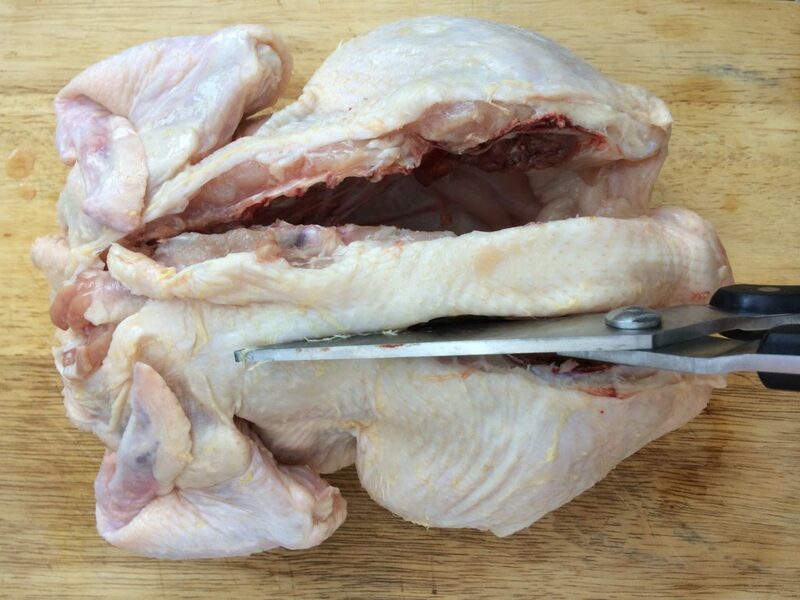 Spatchcocking is a useful and easy to learn chicken preparation technique. 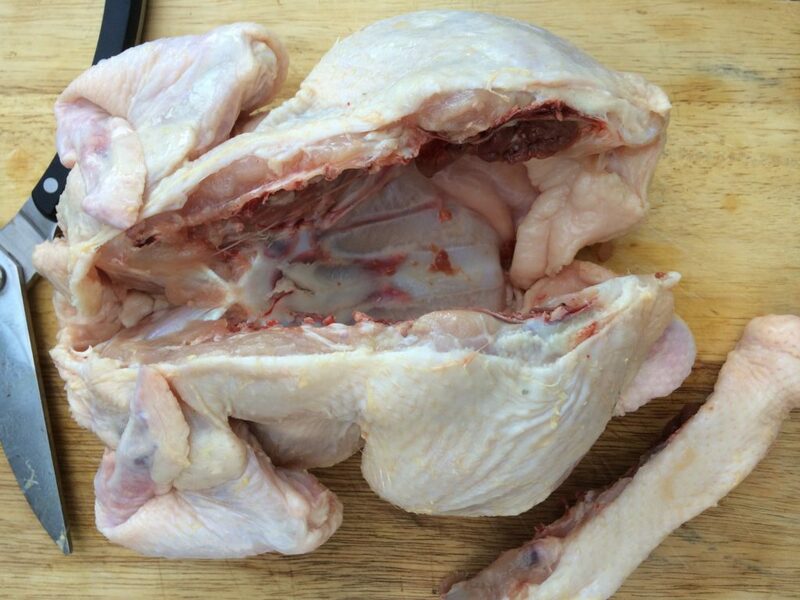 The end result is a chicken that has been opened out and made flatter. When the chicken is made flatter you have the advantage of the chicken cooking a great deal quicker than a whole bird would. This is a perfect technique for cooking a chicken on the barbecue. Also, because more skin will be exposed to the heat you end up with plenty of crispy skin, compared to cooking a trussed whole chicken in the traditional way. Personally, I just love have some crispy skin when I eat chicken. 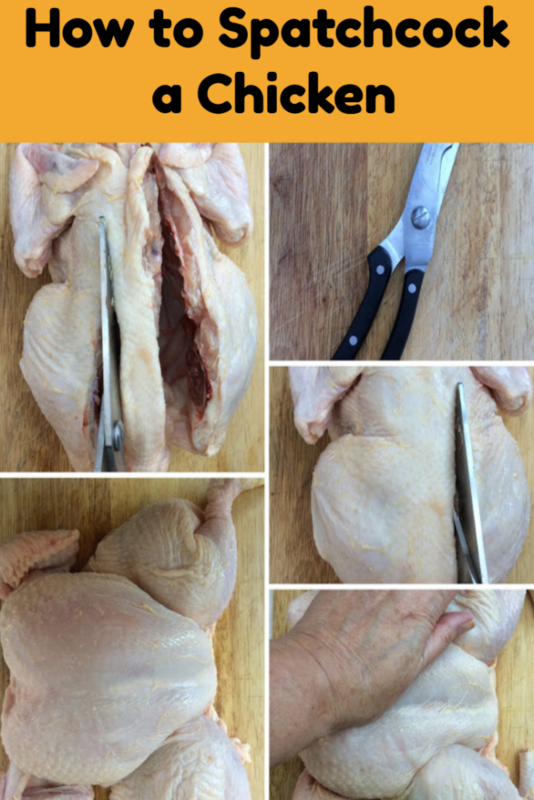 Here is the method I use to spatchcock a chicken. 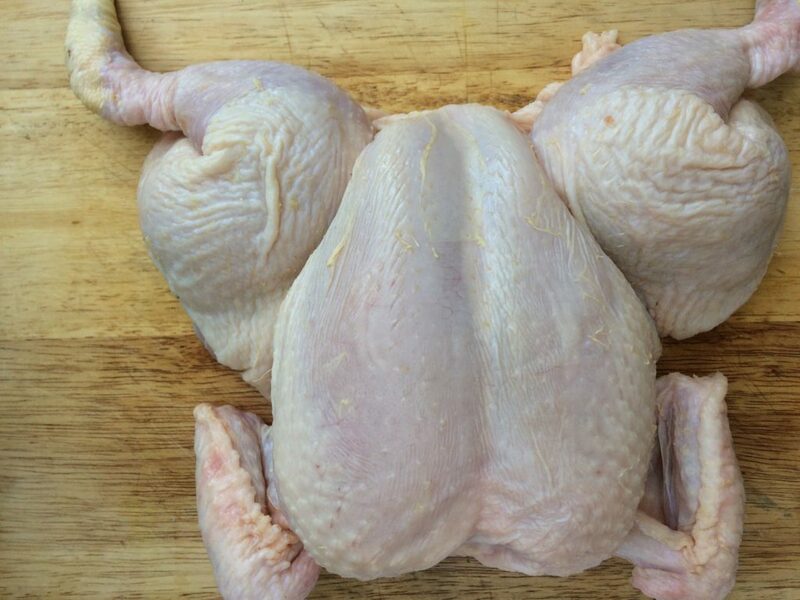 This method is also known as butterflying because the chicken is flattened so it rather looks like a butterfly with open wings once the process has been completed. I like to use the small cheap and cheerful chickens from my local Co-op that are on sale at the moment for £7.50 for two. They weight about 1.5kg each, I find these smaller chickens are much easier to spatchcock than a large chicken. I find cooking the two chickens this way gives me 8 meal sized portions and I get to keep and freeze the leftover bones to make bone broth at a later date. 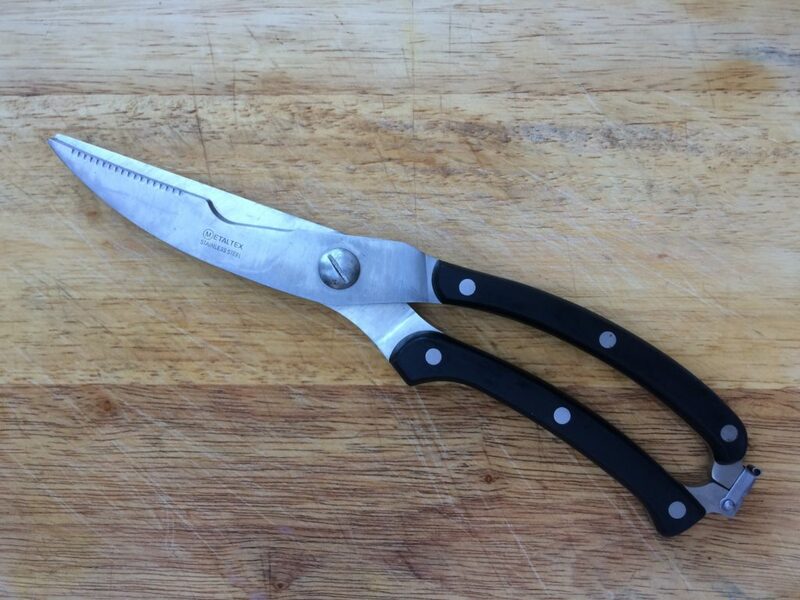 Spatchcocking requires a sturdy pair of poultry shears or strong kitchen scissors. This method is very easy but quite difficult to explain so I have added some photograph at the end of this post. I hope these will help to make the process clearer. 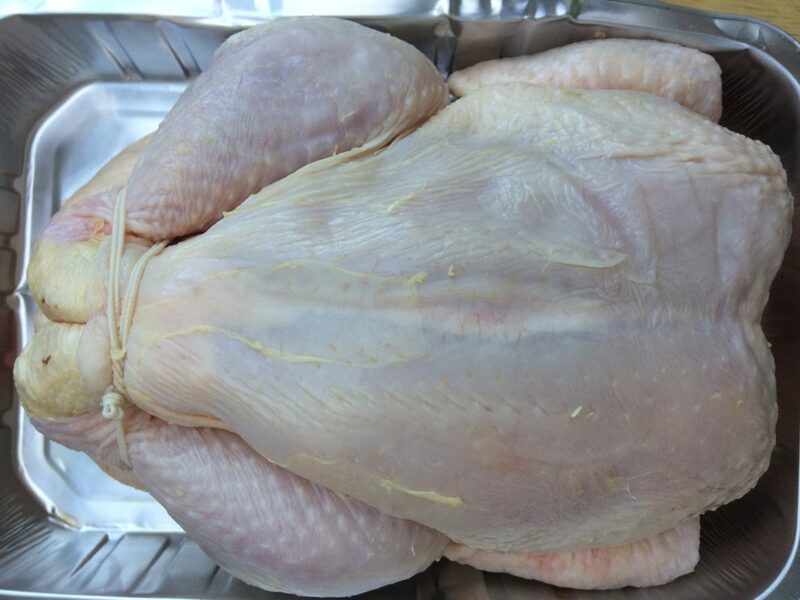 Remove the chicken from the packaging and take off any trussing. 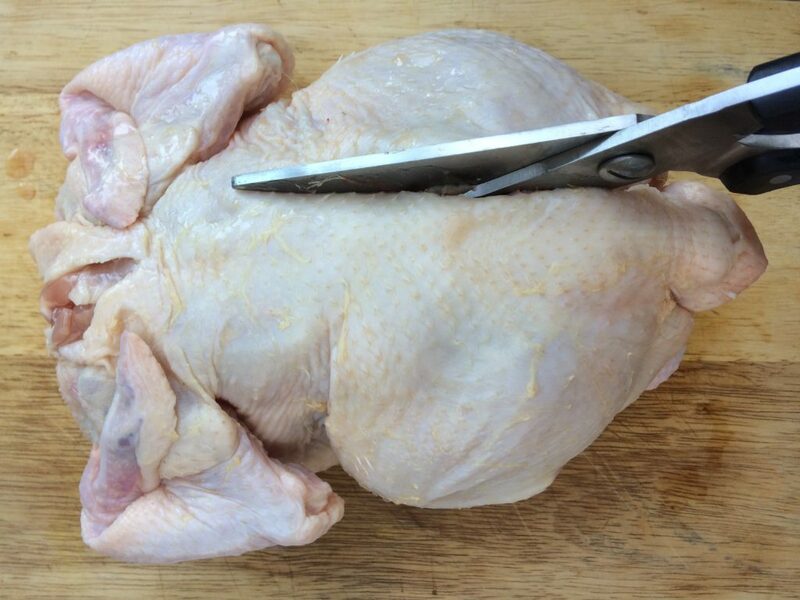 Turn the chicken over onto it’s breast side and have the parsons nose pointing towards you. 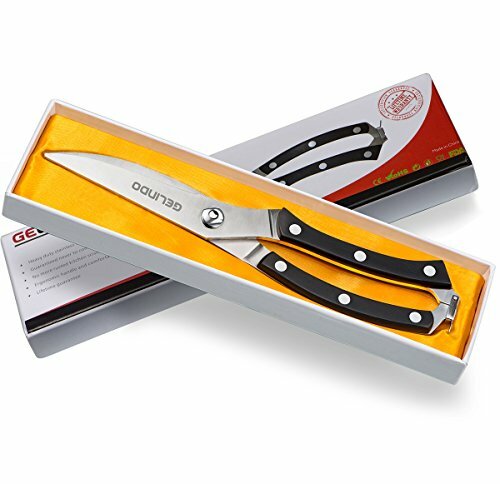 Take the poultry shears or scissors and cut either side of the spine. The spine can then be removed and used to make bone broth. 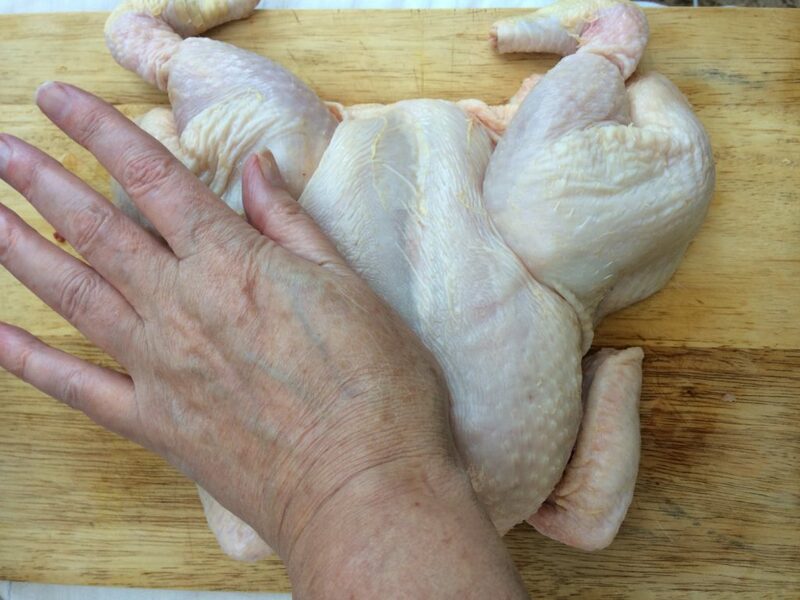 Turn the chicken over and flatten it out by pressing the breast with your hands. Once the spatchcocking process has been completed I then use the chicken to make a variety of recipes. Most of the recipes involve making a tasty marinade, letting the chicken sit in the marinade overnight and then either roasting in the oven or in the summer cooking on the BBQ. 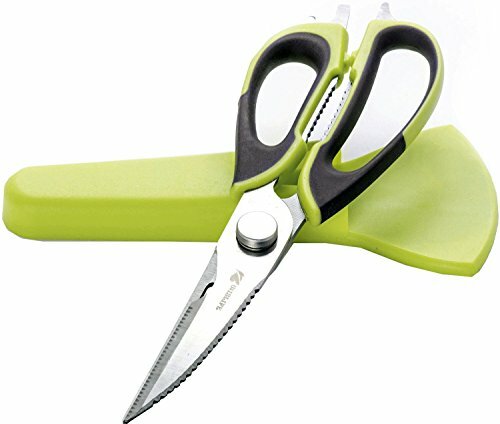 Here are some poultry shears or tough kitchen scissors that I would recommend if you want to make spatchcocking a quick and easy way to prepare a chicken.